We are honored to bring you a limited amount of The Living Studio Toolbox Studios. 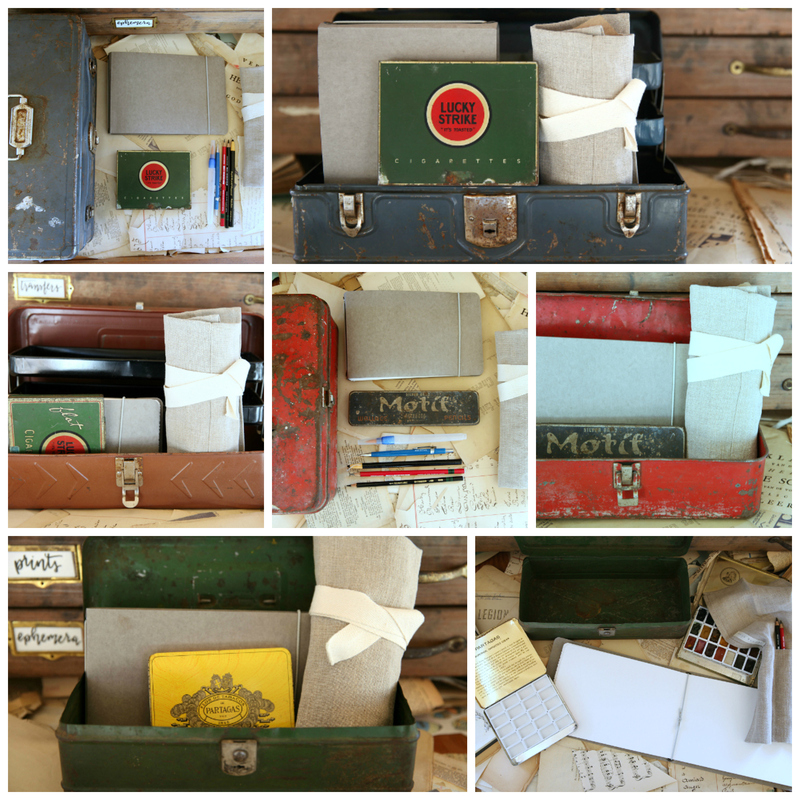 Each set has been curated to include a vintage toolbox, handmade journal, vintage watercolor tin palette and a handmade JO paintbrush/supplies wrap. Each set is to encourage you to set out with limited supplies and to create anywhere you go and make the world your studio! You can see the limited amount of Toolbox Studios HERE. More will be coming in 2017 along with more The Living Studio Art + Necessities! We are really excited for what we will be offering in the shop! ***If you are interested in our FREE The Living Studio video series go HERE.